Help! It's Larry's 40th birthday and he has still yet to find the loving touch of a woman. Can you help guide him through the twists and turns of Lost Wages in search of true love? Or at least a fleeting romantic fling? Larry will take what he can get at this point! 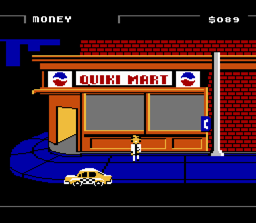 Come along for a ride and visit one of the numerous locales meticulously recreated for this port of the classic DOS game. You'll come in contact with vagabonds, alcoholics, prostitutes, store clerks, stoners, comedians, women, women, and more women! Gambling, dancing, drinking, smoking, shopping... this game has it all! Don't let Larry down! He needs you! Lord knows he hasn't had any luck on his own. WARNING: THIS GAME IS INTENDED FOR ADULT AUDIENCES ONLY! 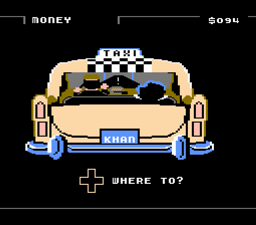 The taxi is available to drive you all over town! Stop by your local convenience store to pick up goodies Running low on funds? 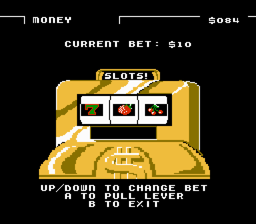 Try your luck gambling! Will not work on stolen software emulators like the Retron 5.